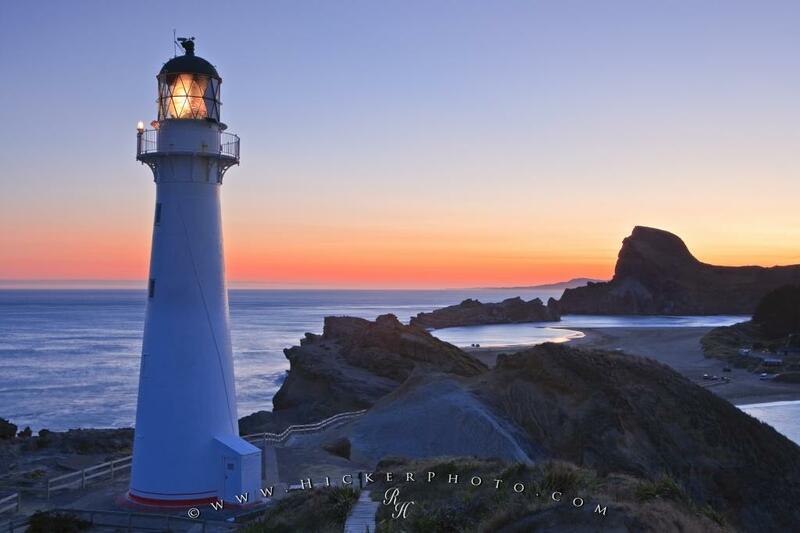 The bright light of the Castlepoint Lighthouse guides the way for ships along the East Coast of New Zealand. A guiding light since January 12, 1913, the Castle Point Light stretches across the Pacific Ocean for 26 nautical miles from the East Coast of the North Island of New Zealand. Sunset at Castlepoint Lighthouse which overlooks the lagoon and bay, Castlepoint, Wairarapa, North Island, New Zealand. of the North Island of New Zealand.